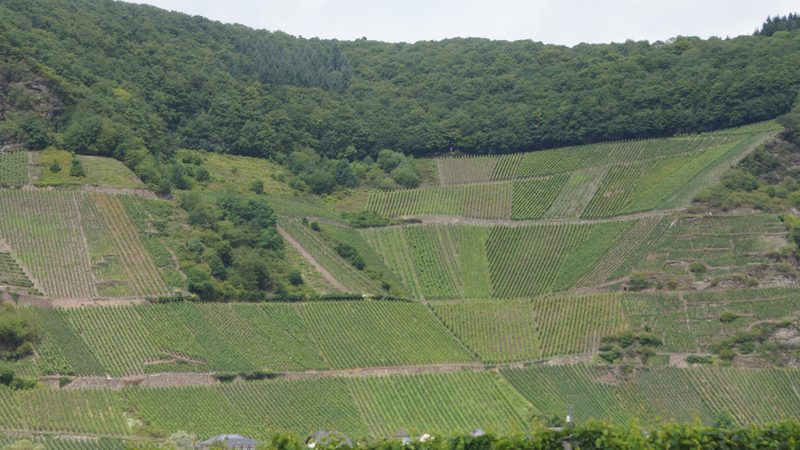 Last week on very short notice I contacted fellow Vinous subscriber Marius Fries as I would be in the Mosel to pick up some wines. He suggested a tasting of 2016 Riesling Kabinetts. The day started off at Reinhold Haarts, having tasted his wines a few weeks ago and ordered some. I had the chance at the winery to taste some more. Really loved the Piesporter Riesling and the Goldtröpfchen, but for me the big surprise was a barrel sample of the 2016 Grafenberg GG trocken which will be bottled in September. A monster of a wine, intense minerality, complex citrus fruit, light vegetal notes and tremendous length. At roughly €25 the price point is fantastic. 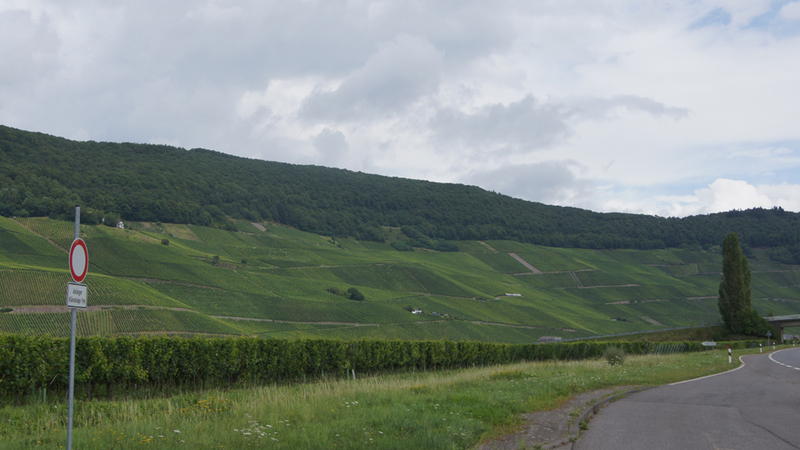 In the afternoon, I picked up some wines at Maximin Grünhaus. Quite an interesting experience. Despite the renommée of the winery, the tasting area for casual visitors was quite primitive. 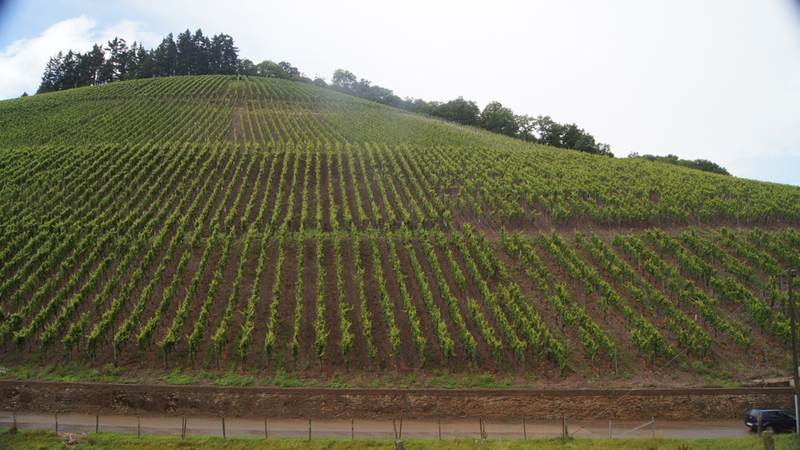 Across the road from the Weingut after some torrential rain. In Trier after visiting the Porta Negra, I went to Marius’. On Friday, he talked about tasting some wines from Zilliken and some others, in the meantime he had accumulated 28 different wines. We were joined by Lars Carlberg and Yong Troung and later by Johannes Weber from Hofgut Falkenstein. 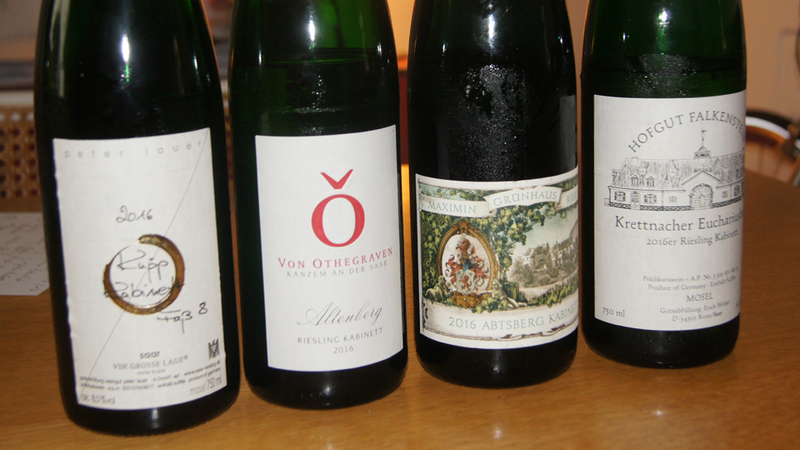 Ultimately there were too many wines to post all the tasting notes, but for me the complete tasting gave me a fantastic impression of the diversity of wine styles in the Mosel. Also the way Marius combined the flights was more than impressive. An impressive beginning, the first two wines were my favorites, the Zilliken had really strange aromatics, cooked champignons, very savory. Second flight, again very high quality except for the Von Othegraven, which I found in comparison to the others disappointing. I struggled with the Hofgut Falkenstein at first; really needed time to open up. 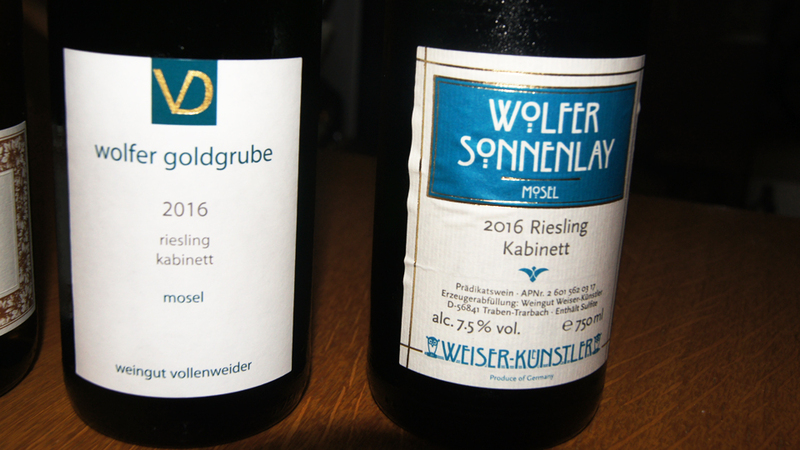 The thing which surprised me here was the diversity, the Grünhaus had a creamy sort of mouthfeel, whereas the others were more tangy. For this flight alone, the journey was worthwhile. 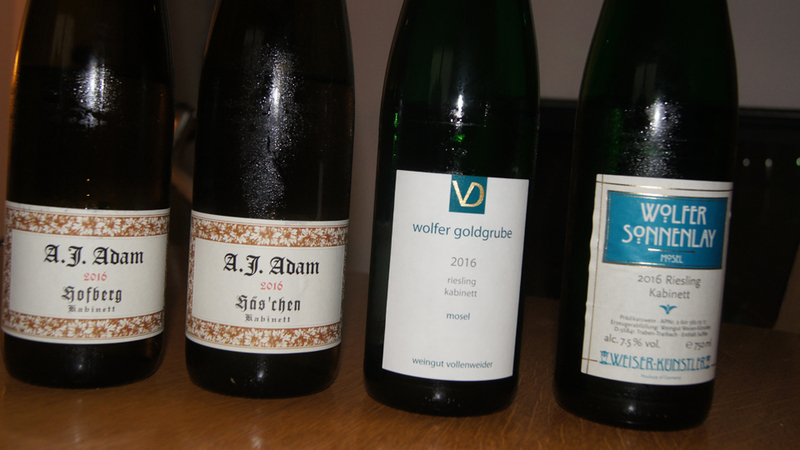 The first two wines were good but the Wolfer Goldgrube from Weingut Vollenweider was out of this world, my notes are a bit fuzzy, but the sharpness of the acidity and the raw power in this wine at the price point is unbelievable. This wine moves in the same level as top-notch premier cru Chablis. The fourth flight was after the third a real anticlimax, I re-tasted the Schaefer after the last flight and they were much better. 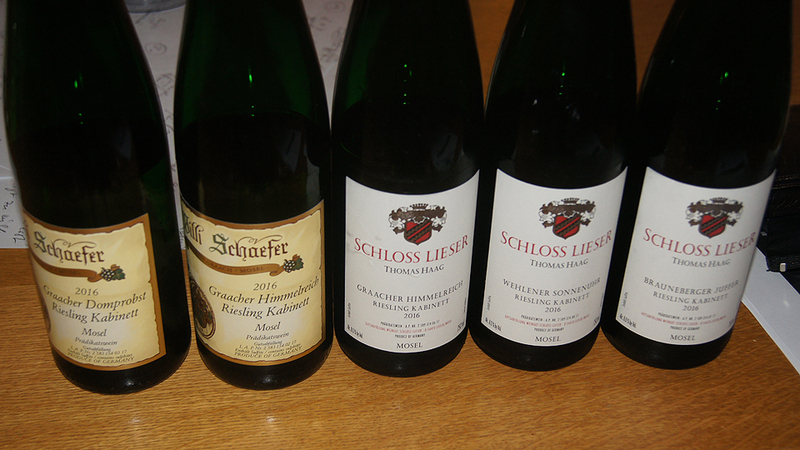 The Schloss Lieser wines were pretty interchangeable, no real sense of place. There were two more flights which I somehow did not photograph, and to be honest were not my cup of tea, so better not to write anything negative here. Also on the fourth flight Johannes joined us. I have been at many tastings, but what really stood out was the collective depth of knowledge and enthusiasm and at the same time complete lack of arrogance or pretentiousness of Marius, Yong, Lars and Johannes. 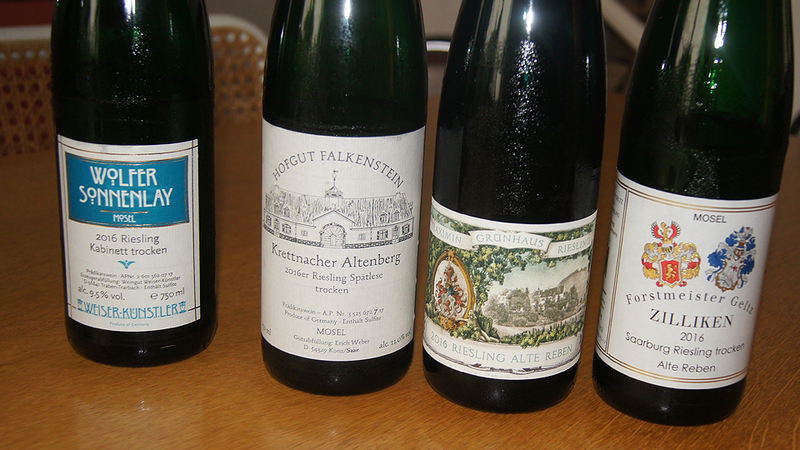 After this tasting a quote I read lately seems very pertinent: “a day when you don't drink Riesling is a day wasted”. Unfortunately, I had an early start, but I could have listened to Johannes discussing wine making with us for much longer. I am not into vintage hype but all I can say is 2016 is a vintage that I would buy without hesitation. The quality of the wines across the board was very high, although the stylistic difference are much bigger than I imagined. Thank you Marius for a great night and for the great company.